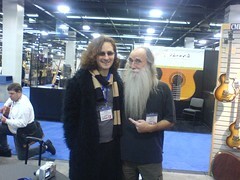 After a two year absence, I’m heading out to California for the NAMM show in just a week’s time. I’m really looking forward to catching up with the many friends I’ve made at the show over the years. In amongst the schmoozing and nonsense, a great number of remarkable music-loving people come together at NAMM and I always relish the chance to catch up on everyone’s news and make plans for the next year! Thurs 19th – AltBass. at El Torito in Anaheim – the whole bill is Steve Lawson, Chris Tarry, Steuart Liebig, Darren Michaels, Tom Shad – music starts at 7pm. Friday 20th Jan – BassUp! at Viento y Agua Coffee House – also on the bill Steuart Liebig, Edo Castro, Stew McKinsey, Christopher “C3” Cardone, Brittany Frompovich, Zen Beer, John Ady, Rod Taylor, and Darren Michaels! Saturday 21st – AltBass Pt 2, at El Torito in Anaheim again – the bill this time is Steve Lawson, Julie Slick, Gustav Fjelstrom & Tom Shad. Monday 23rd – house concert in Newport Beach california – along with a lot of other people TBC. Tuesday 24th – at The All American Melodrama Theater in Long Beach, CA, with the wonderful acoustic guitarist Muriel Anderson. http://www.allamericanmelodrama.com/ – tickets $15. Sunday 29th – Northridge Music Center, Citrus Heights (Sacramento), CA – hybrid concert/masterclass, focussed on looping. http://www.northridgemusic.com $20.